Mr. Daniels was born and raised in Greeneville, Tennessee which is adjacent to Cherokee National Forest. He has a Bachelor of Science Degree in Communications & Computer Science and a Master of Science degree in Manufacturing Engineering Technology from East Tennessee State University. Mr. Daniels began his career with the Tennessee Department of Economic and Community Development based in Nashville, Tennessee. During his time with the State of Tennessee he was involved in reform of the Appalachian Regional Commission Grant Program and the Industrial Training Service program. Mr. Daniels left the State of Tennessee in 1997 and begun work as an Economic Development Planner for the firm of Barge Waggoner, Sumner and Cannon based in Nashville, Tennessee. During this time Bryan worked with several communities within East Tennessee and Southwest Virginia. His clients were municipalities trying to develop their local economies and seeking state and federal support for their goals. From 2001 thru 2010, Mr. Daniels accepted the role of Executive Vice President under the Blount Partnership. Bryan managed Blount County, the cities of Maryville, and Alcoa’s Economic Development efforts. Mr. Daniels was directly responsible for the Economic Development offices and staff located in Maryville, Tennessee; Munich, Germany; and Yokahama, Japan. Mr. Daniels managed the operations of the community’s 4 industrial parks, 2 science/technology parks, and the Economic Development Programs for Blount County, City of Maryville, and City of Alcoa, Tennessee. The Economic Development Board is one of the four partner agencies of the Blount Partnership (Chamber, Foundation, Tourism Bureau, and Economic Development Board) with an annual $4.75 million dollar partnership operational budget. 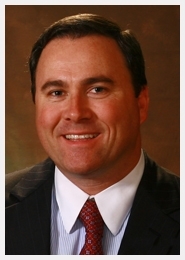 In 2010, Mr. Daniels was named President and CEO of The Blount Partnership. The Partnership is comprised of The Blount County Chamber of Commerce, Blount County Economic Development Board, the Smoky Mountain Tourism Development Authority, and the Blount Chamber Foundation. The 24-person staff is responsible for all Economic Development activities within the jurisdictional boarders of Blount County and the Cities of Alcoa, Maryville, Townsend, Rockford, Friendsville, and Louisville. During Mr. Daniels tenure, Blount County has recruited over 75 new and expanding companies in the areas of research & development, corporate headquarters, manufacturing, and back office support centers. The total capital investment of these companies has exceeded 4 billion dollars and created more than 12,000 direct new jobs with average wages above Tennessee’s average. The Blount County local governments adopted the new tourism authority structure which was written by Bryan and Senator Doug Overbey. The authority was unanimously adopted by the 107th Tennessee general assembly as a new local/state entity and has been championed by the Department of Tourism as a best practice for local governments to adopt. Blount County has now been a destination for large recreational organizations such as (HOG Rally, Destination Vacations, etc.) Construction is underway for a new venue that will provide meeting and convention space which will attract more opportunities for the Blount County region. Mr. Daniels has continued his professional education by graduating from the Economic Development Institute located at the University of Oklahoma and is a Certified Economic Developer (CEcD) from the International Economic Development Council. Bryan is also a graduate from the US Chamber’s Institute of Non Profit Management and attained the designation of IOM. Mr. Daniels has attained the status of Certified Chamber Executive (CCE) from the American Chamber of Commerce Executives. Daniels currently serves as Past-Chairman for the US Chamber’s Southeast Board of Regents (4-year professional development program based at the University of Georgia) and Past Chairman for the Tennessee Chamber of Commerce Executives. He also serves as Vice Chairman of ((POM) Program Oversight and Management) committee with the International Economic Development Council based in Washington D.C. and is President-elect for the state wide professional economic development association, the Tennessee Economic Development Council. Bryan currently teaches economic development principals & planning for the US Chamber nationwide, teaches chamber operations for the Tennessee Chamber of Commerce’s non-profit management school (2-year program based at Middle Tennessee State University(MTSU)), and is a guest instructor at East Tennessee State University. Mr. Daniels is very active with his alma mater at ETSU and is President-Elect of the ETSU National Alumni Association. The Blount Partnership is a 5 star accredited Chamber of Commerce accredited by the US Chamber of Commerce and is the only Accredited Economic Development Organization (AEDO) by the International Economic Development Council in the state of Tennessee (#58 worldwide).